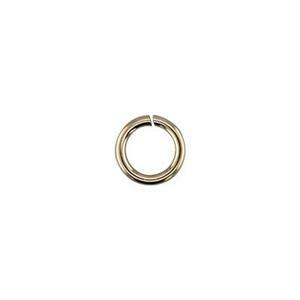 Get a jump start on your next jewelry design with these 23 gauge 4mm gold-filled jump rings. Remember that jump rings should be opened as if on a hinge. Never draw the ends directly apart. For more information about gold-filled findings, read our blog post 5 Things You May Not Know About Gold-Filled. These are easy to use and look beautiful.